The greens may not be loving all this rain but the blueberries sure are, so eat lots of them before they go away for another year. 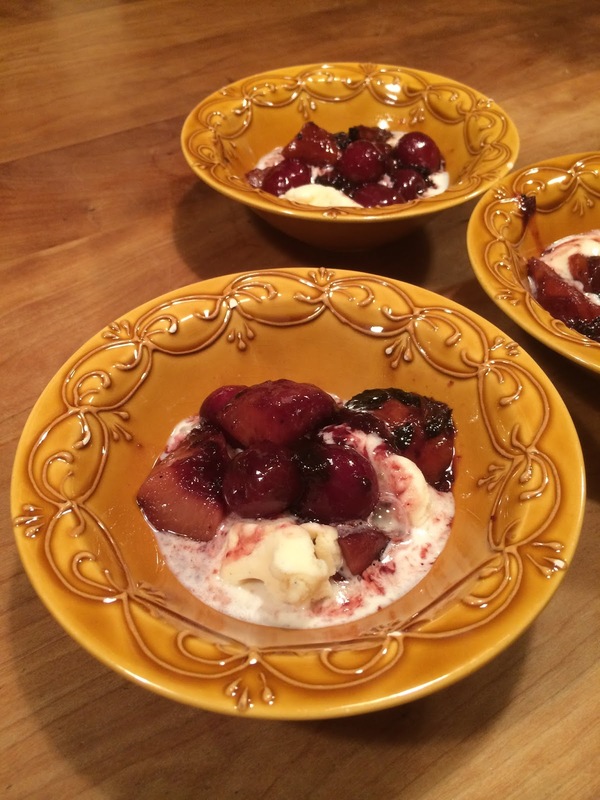 For a change try stewing some cherries, peaches, or plums in this blueberry lime sauce…clean bowls guaranteed. In a sauce pot combine a pint of blueberries with three quarters of a cup of water and puree with a stick blender. You could also mash the blueberries before adding the water. Add a quarter cup of sugar then bring to a boil and simmer uncovered for fifteen minutes. Once thickened add your cut up fruit along with the juice of one lime, cover, and simmer for another ten to fifteen minutes. Serve over vanilla ice cream or with some whipped cream, this is summer at its best.